Protect from frost and wind. Water well when young. Faster to flower in pots or garden beds! 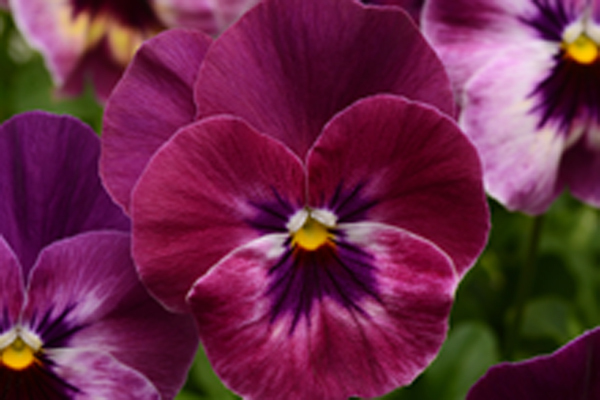 PANSY Plentifall™ Trailing Fire is an exciting new pansy that fills garden beds quickly with masses of bright purple flowers and which cascades beautifully over the edges of pots and hanging baskets. Each plant spreads up to 60cm wide full of glorious flower coverage. Information intended only as a guide. Flowering time & colour can vary according to local conditions.